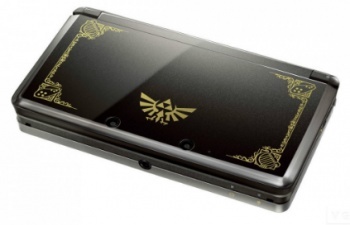 3DS sales are "improving" while manufacturing costs shrink. As of today, the 3DS is no longer being sold at a loss. Selling hardware for less than it costs to make, market and transport isn't unusual in the console industry - game sales are expected to make up for the lost capital - but it's a business model Nintendo rarely employs. The company was forced to cut $80 off the price of the 3DS in response to a luke-warm launch, which in turn contributed to a company-wide money deficiency. The gambit worked: despite grumbling from users who'd already bought the handheld at full price, sales quickly picked up, but at a substantial cost to Nintendo's bottom line. Today, Nintendo described sales of the 3DS as "improving," and revealed worldwide sales had hit the 19 million unit mark. 1.86 million units were sold between April and June, a million more than were sold in the same period last year. Total sales of the handheld now stand at 52.81 million. Despite the improvement, Nintendo is still in the red. The company lost 17.2 billion yen (roughly US $220 million) over the past three months, which is still better than the 25.5 billion yen ($326.3 million) it lost in the same period last year. The company expects to return to profitability by the end of March 2013. It's banking on a predicted 18.5 million 3DS sales, and sales of the Wii U to bolster its finances. Nintendo hasn't made any exact sales predictions for the upcoming Wii U, but it did say it plans to sell 10.5 million Wii and Wii U units during the twelve months ending next march. Considering Wii sales have slowed to a trickle over the past few months, it seems unlikely the original U-less model will make up a sizable portion of that number unless there's a big price cut on the horizon.